Tuscany is one of the most beautiful destinations in Italy and definitely worth a visit. One of our writers spent some time living here and shares her best tips on what to wear in Tuscany throughout the year! Tuscany is a region in central Europe known for its incredible wine, stunning scenery, medieval towns, and renaissance era charms. There are so many wonderful places to see from Siena, Bologna, Lucca, Pisa, San Gimignano, Pisa, and of course the capital city, Florence. 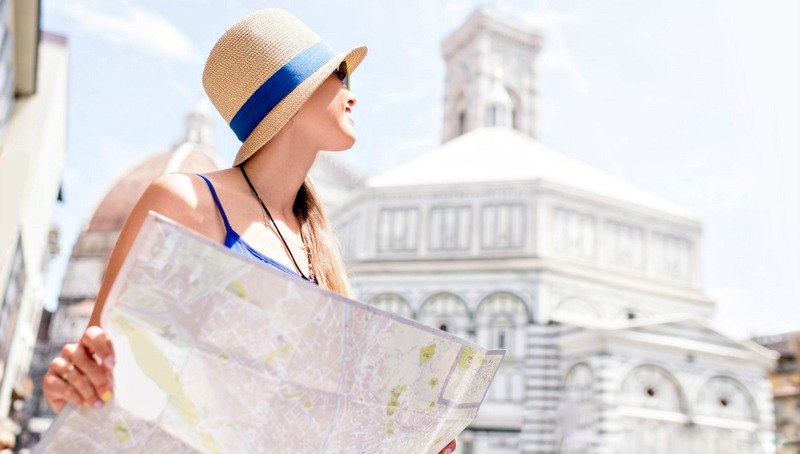 Miss Filatelista, who lived in Italy, shares her tips on what to wear in Tuscany to help you pack for an unforgettable adventure in Tuscany! Tuscany is a huge region in Italy and the clothing style can be broken down into two realms – town and country. In Tuscan towns like Pisa, Bologna, Siena, Lucca, and Florence, you can expect to find trendy youth and timeless clothing style on locals. In the countryside and wine country, clothing is practical and functional as many people are working outdoors for long hours. However, they maintain a sense of style and are always well coordinated, so you’ll want to remember this when choosing what to wear in Tuscany. You won’t see anyone walking around in distressed denim or sweatpants, even when they’re tending to a vineyard. 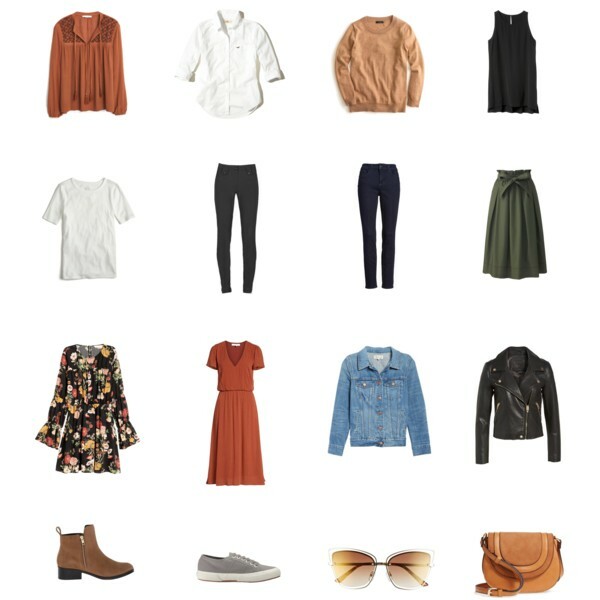 Keep this in mind when creating your capsule travel wardrobe, which should easily fit in a carryon suitcase with the help of packing cubes to compress your clothing. Here’s what to wear in Italy and learn how to dress like local! The region is massive so temperatures can vary from the hilly wine country to cities closer to the sea but mostly it is at the coldest 9°C/48°F and can get up to 20°C/68°F. In late spring, around April, temperatures can be much warmer that it almost feels like summer! Rain is frequent in the spring and it can be very windy. Spring weather is stunning in Tuscany, so pack your favorite maxi dress to wear in both the town and while frolicking around the vineyards. Denim shorts aren’t well received in Italy, so instead pack a silk pair of shorts or ultra comfy palazzo pants. For deciding what to wear in Tuscany, pair the pants with your favorite blouse, maybe a wrap around thin sweater or a boxy crop top. We’ve got a round up of twenty beautiful summer maxi dresses! Bring a sheer neutral colored scarf that is thin enough to not take up much room in your handbag but will keep you warm if the wind picks up. If you’re planning on spending a lot of time in the countryside you may want to pack a sweatshirt or jean jacket for cool evenings. Tuscany is all cobblestone streets in town and dirt roads in the countryside. Keep this in mind when choosing footwear. Heels just don’t make sense here but you also should avoid light colored shoes that would get destroyed by the elements. Read this post about the how to choose the best walking shoes for Europe! Summer in Tuscany can be boiling and you probably won’t be heading to the beach with all the wonderful things there are to see in the region. In July, weeks can pass with temps around 35°C/95°F by day and barely cooling down at night to 27°C/80.6°F. Heat waves happen often with temperatures soaring past 40°C/104°F. Deciding what to wear in Tuscany in the summer can be a challenge as Italian style is always sophisticated and frowns upon cut off denim shorts and tiny crop tops. To combat the weather and stay comfortable opt for loose pieces made of lightweight, breathable materials like cotton and linen. Pack your favorite rompers in fun patterns, bright sundresses, and mix and match separates. Here’s our round up for summer rompers for women! With long sunny days spent outside sightseeing, you’ll need to pack a hat and sunglasses to protect your face and eyes from UV rays. Wear the hat on your flight to Italy, even if you’re coming somewhere cold! You’re about to go have a summer to remember under the Tuscan sun! Durable sandals are the best footwear in Tuscany in the summer for both sightseeing in town and exploring the countryside. Avoid slip on styles that may easily fall off of your feet and opt for pairs that have secure straps around the ankles. Take a look at these fashionable, comfortable walking sandals for summer! Not only is the weather in Tuscany crisp and perfect during the fall, but it is also the midseason when prices are more reasonable after the summer flux in tourists. From September to November temperatures typically don’t dip below 7°C/45°F or go much above 27°C/81°F. Fall in Tuscany doesn’t require all the heavy duty cold-weather accessories that winter does but it would still be wise to bring a coat when deciding what to wear in Tuscany. If you plan to spend time traveling around from one destination to the next and visit many of the ancient medieval villages it would be wise to pack a cargo coat, denim jacket, or faux leather motorcycle jacket. Those will be more practical than a nice trench coat or wool jacket that will likely get dirty and wrinkled. Read this tips on how to wear a leather jacket plus more styles to choose from! Skinny jeans are a staple for a wardrobe this time of year and can be mix and matched with tee shirts, light sweaters, button down blouses, and more. Layer a tank underneath your heavier tops as it could be unexpectedly cold, or warm! Sneakers and motorcycle boots are ideal for this time of year, and also for exploring the region of Tuscany! You’ll spend hours on your feet so comfy footwear is key. In the towns there are medieval stone roads that are crooked and sturdy shoes will keep you from falling. In the rural areas, these shoes will be easy to track through mud and dust, and clean up well afterward. Here are the best womens waterproof leather boots! Tuscany can be very cold in the winter and snow can almost always be found in the regions mountain range! The crisp weather adds a certain magic to the beautiful villages and landscape. The season stays chilly with the occasional high around 55°F/13°C and even the extreme lows typically stay above freezing at 37 °F/3°C. The wind can be more brutal than the cold! If you’re not used to cold weather, you may want to pack long johns to wear under your pants. Thick wool socks are a must when choosing what to wear in Tuscany, and if your shoes aren’t water resistant you may want to wear two pairs. If you don’t plan on wearing thick sweaters, pack two scarves, one to wear inside your jacket wrapped around your neck for warmth, and the other to wear outside your jacket around your shoulders. Gloves make more sense to pack than mittens so you can use your hands. Thermal underwear for women is the ultimate secret to packing light in the winter! When deciding what to wear in Tuscany, pack outfits that will help keep you warm and stylish. Thick wool trousers paired with chunky sweaters or flannel shirts with a sweater. Pair with pleather leggings are both chic and comfy. If you plan to wear any dresses, opt for at least a midi-length and felt lined tights to go with. Shoes must be durable. It doesn’t rain or snow often enough to need to pack heavy rain boots or snow shoes, unless you’ll be in the countryside throughout your trip. Whatever boots you pack, make sure they have durable soles with good traction. These are the best leggings for women that travel as voted for by our readers! Florence is the shopping capital of Tuscany with many leather markets and international retailers like H&M and Zara. There are also many Italian shops like Brandy Melville and unique boutiques that sell trendy styles. Generally the most affordable boutiques are located close to college campuses. 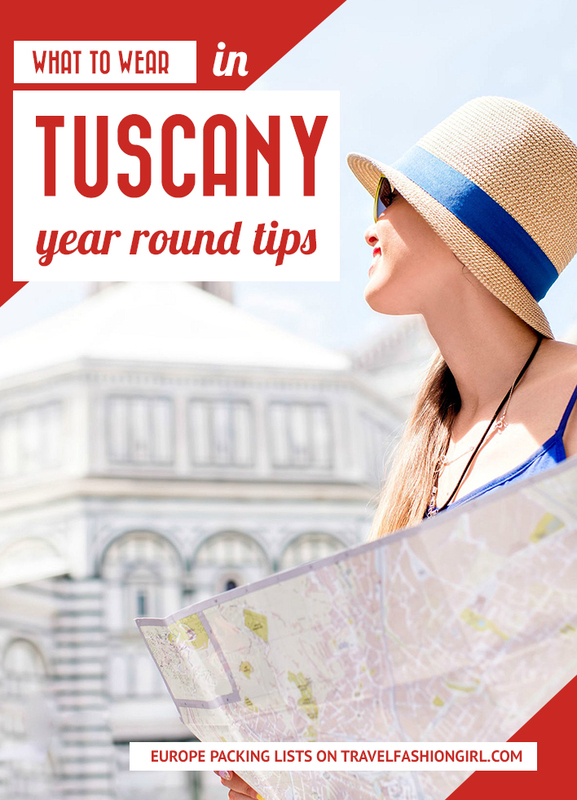 Tip: Worried about theft, add items like a money belt or Secret Bra Pocket to your packing list for Tuscany. In Tuscany, it is possible to rent an entire villa on Airbnb in the countryside or a beautiful apartment in a medieval building. There are also plenty of more affordable accommodation options like hostels, especially in the larger cities. In smaller towns, there will be homestay options and many of the vineyards also operate bed and breakfasts. Read these Airbnb tips for more info! To get around from one city to the next in Florence, it is easiest to take the local train service which is fast and affordable. There are also buses that go to most major cities, and some smaller areas. For trips to medieval villages and vineyards it is easiest to go on a group tour or rent a vespa or car for the day. What’s in your Tuscany packing list? Share in the comment section below! 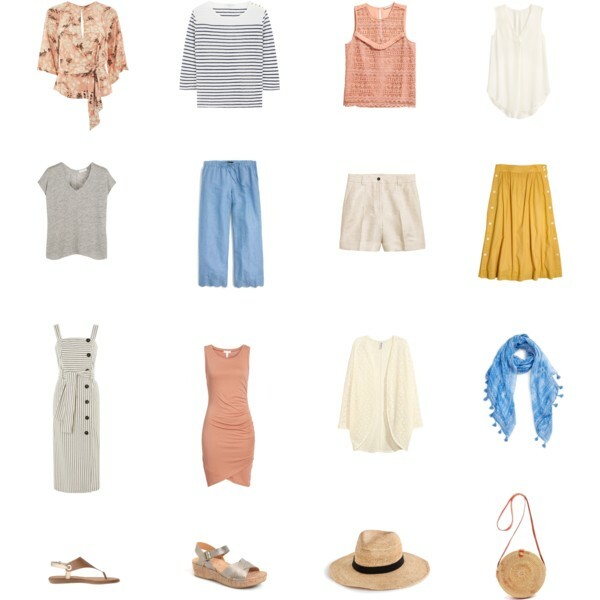 We hope this packing list helps you plan what to wear in Tuscany. Don’t forget to share the love on Facebook, Twitter, and Pinterest. Thanks for reading! Author Bio: Lola Méndez is a full-time traveler sharing her adventures on Miss Filatelista as she adds to her collection of passport stamps. 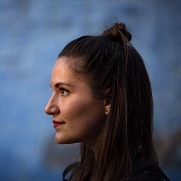 She travels to develop her own worldview and has explored 46 countries. Passionate about sustainable travel, she seeks out ethical experiences that benefit local communities. You can follow her on Facebook, Instagram, and Twitter. Do you have a fall packing list for men? 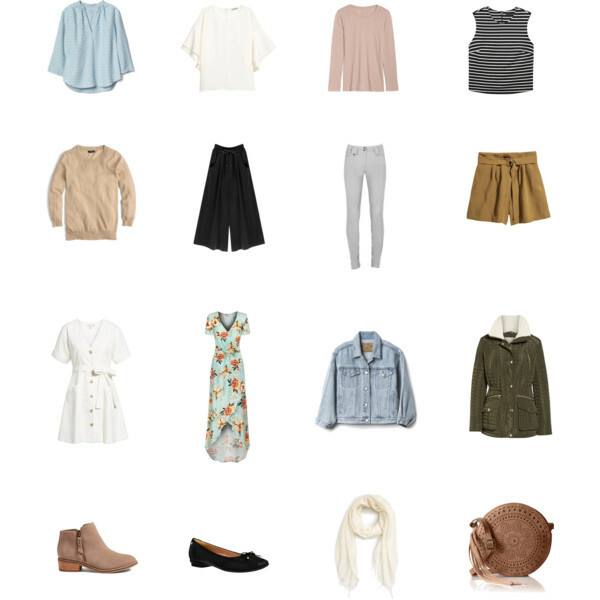 We will be in Tuscany the last week of September and my husband is struggling with the capsule wardrobe idea. Any help would be much appreciate. Thanks! Love this site! Bologna isn’t in Tuscany, it’s in Emilia-Romagna!